CRAVEN COUNTY, NC – Sonar crews from NC CERT responded to Craven County North Carolina on June 3, 2014 to search for a missing boater. Tanner Webb, 15, of River Bend North Carolina fell from a boat that was operating on the Trent River in Craven County the day before, and did not return to the water surface. Sonar crews from NC CERT deployed a Marine Sonic Side Scan Sonar to locate the missing boater at the request of Craven County Emergency Management. At approximately 1pm, NC CERT located the missing boy on the river bottom. Divers from Sidney dive team were then deployed to bring Tanner to the surface, and provide closure for his family and friends. NC CERT extends our heartfelt condolences to Tanner’s loved ones. This tragic event touched our hearts, and we hold up those who loved him in our prayers. Follow the link below for the local news story and video on this tragic event. 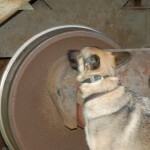 NCK9ERT 9th ANNUAL HUMAN REMAINS DETECTION SEMINAR (Land or Water) April 25 – 28, 2019 Click here for application Hosted by: NC ..
Chatham County News Article on NC K9 E.R.T. North Carolina K9 Emergency Response Team by Valerie Broadway This column was in the works before Hurricane Florence existed, but ..
NCK9 E.R.T. Receives $500.00 Donation from Mercedes-Benz of Raleigh!!! 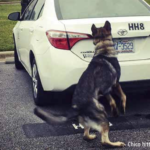 NC K9 ERT recently won a charity contest held by Mercedes-Benz of Raleigh. We asked for your votes. We got ..
8th ANNUAL HUMAN REMAINS DETECTION SEMINAR April 19-22, 2018 Hosted by: NC K9 Emergency Response Team Supported by: Wilson Co. ..
7th ANNUAL HUMAN REMAINS DETECTION SEMINAR April 20, 21, 22, 23, 2017 Hosted by: NC K9 Emergency Response Team Supported ..
Members of NC K9 E.R.T. participated on December 4, 2015 in North Carolina Police Dog Association Certifications Congratulations to the following .. 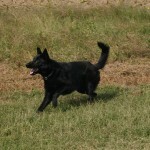 This past weekend, NC K9 Emergency Response Team (NC K9 E.R.T.) participated in NASAR Evaluations. Gordon Deno did the Evaluator ..